As 2002 opens, all the buzz is about Richard Gere in the new Mark Pellington-directed psychological thriller, The Mothman Prophecies. This cinema event will go far beyond the consciousness of those interested in the unexplained, forteana, and cryptozoological investigations. Mothmanmania is on its way. 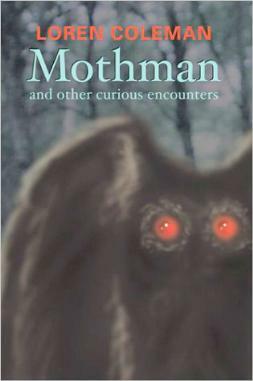 In conjunction with the renewed interest in the topic, Paraview Press has published an original book,Mothman and Other Curious Encounters. Order it from Amazon today! The study of “hidden animals” including Bigfoot, Loch Ness Monsters, Yeti, Myakka Skunk Ape, and hundreds of other crypt ids. (c) 2012 The Cryptozoologist : Loren Coleman - Site by Googz & Co.